After keeping the majority of my dolls trapped in their boxes in my closet for ages, I’ve finally gotten a new display case. Yay! So they’re slowly coming out, and I get to see them! I’m too impatient to take decent photos, but I’m going to start to post ones of my collection here. That looks like a pretty decent photo to me! The lighting really shows off her bright colors! Congratulations on finally getting a display cabinet! It must be exciting to finally unbox your treasures! That outfit is perfect for her! She’s such a pretty doll. I love mine! Marie Antoinette was released from her confinement today - she was a bit annoyed about being made to stand. Ooo, pretty cat. Ocicat? Bengal? ...? Yay for getting a display case -- hope you enjoy unboxing everyone! (Marie does look a little concerned that she won't get a nice place to sit ). Congrats on the display case! 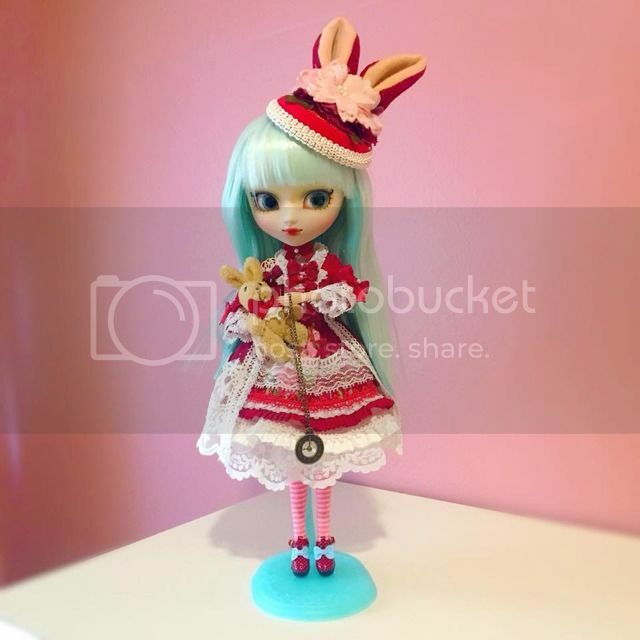 My Melody looks lovely in her new outfit. Perhaps Marie Antoinette would prefer a throne to sit upon? (08-30-2018, 10:35 AM)Alliecat Wrote: Ooo, pretty cat. 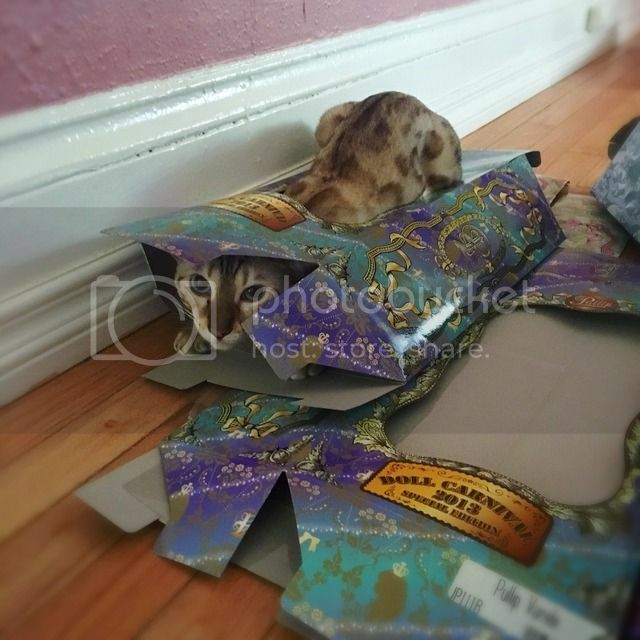 Ocicat? Bengal? ...? Thanks, that’s Sashi, one of my 3 Bengals. (08-30-2018, 11:52 AM)Cornflower Blue Wrote: Congrats on the display case! My Melody looks lovely in her new outfit. Perhaps Marie Antoinette would prefer a throne to sit upon? 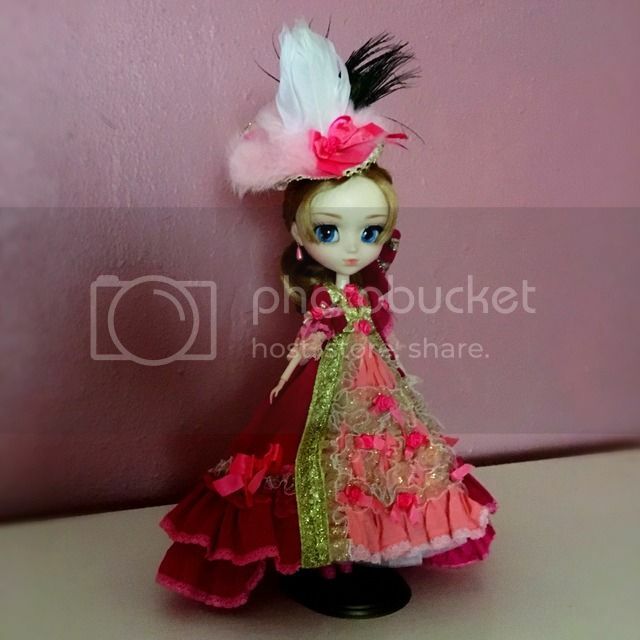 She definitely wants one - Marie Antoinette is one of those Pullips that just refuses to do well on her stand. (08-29-2018, 08:16 PM)GreysPrincess Wrote: That outfit is perfect for her! New arrivals came yesterday! La Robe Vert Clair is a bit more mischievous than I’d e ected, and the two latest Alice’s aren’t so sure this is the the Wonderland they’re supposed to be in. 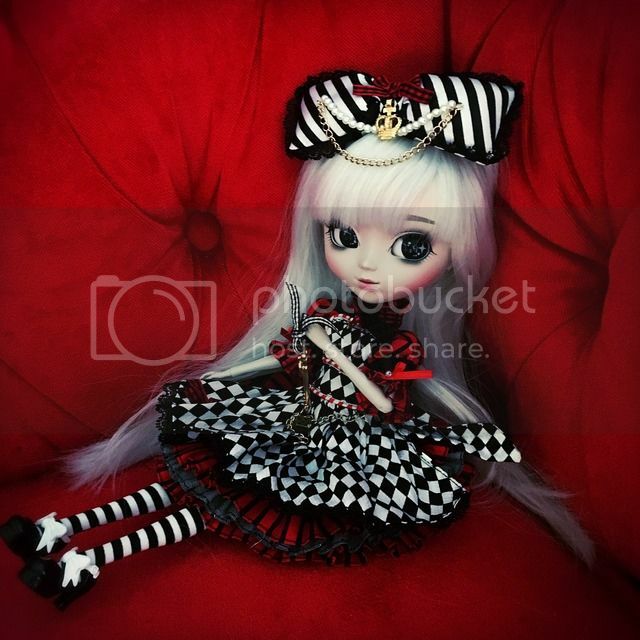 The Optical Alice photo looks Wonderland-ish. 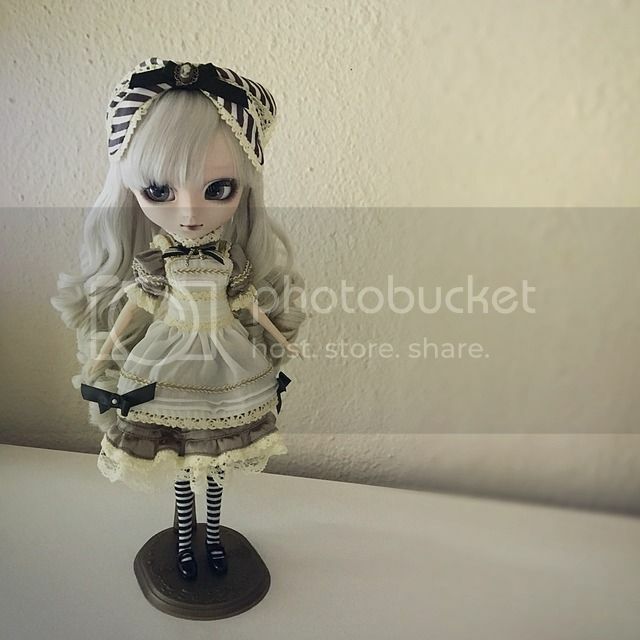 But Sepia Alice... ooooohhhh... she has been tempting me for a while now! Congrats on your new additions! Nice portraits -- I like the third one best. She looks like she's enjoying some luxury. 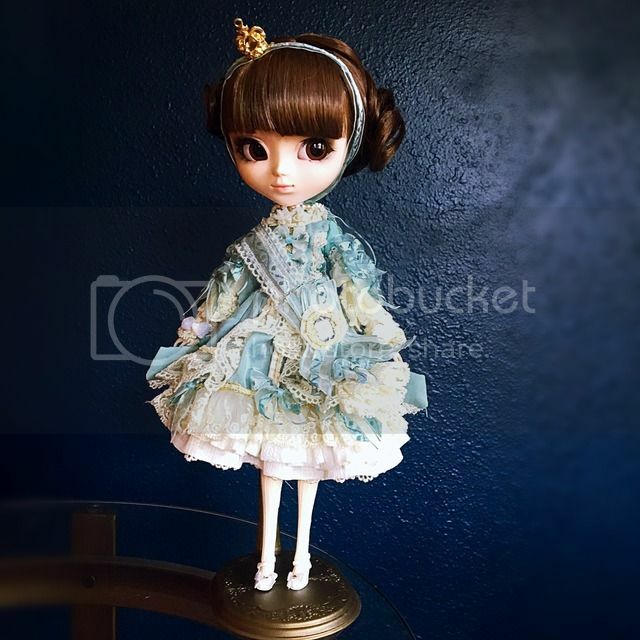 Lovely pics, Optical Alice is on my wish-list, and Robe De Vert Claire is very pretty too. And she does look a bit mischievous too in that shot. Congrats on such pretty ladies! Great pics! All your ladies look so classy! Optical Alice looks really amazing against a red background. Congrats on your new girls!